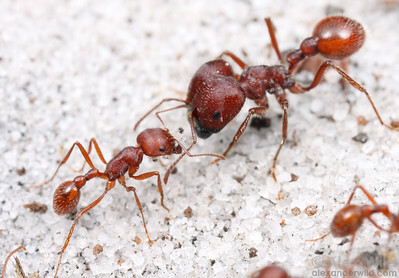 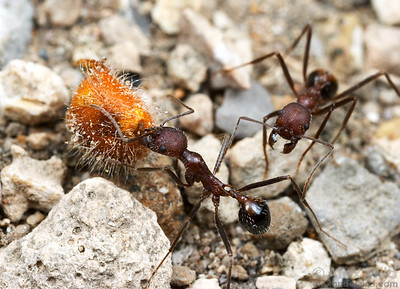 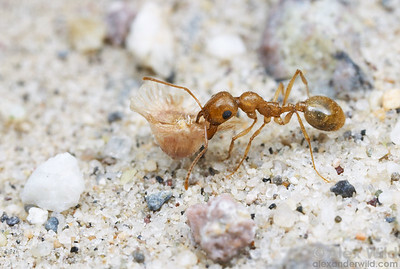 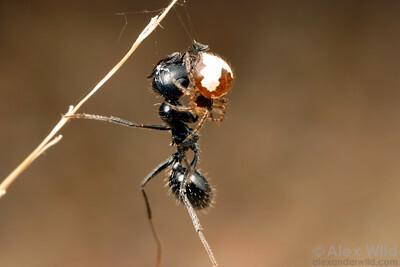 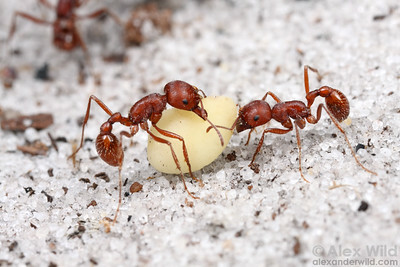 Granivory has evolved numerous times among the ants, especially in arid regions where seed stores help colonies survive extended periods of dearth. 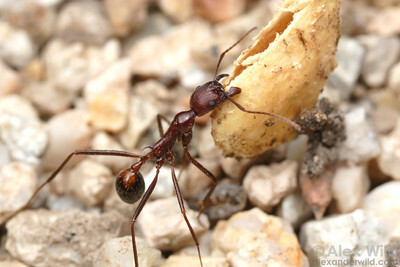 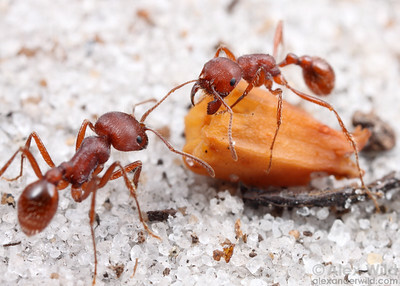 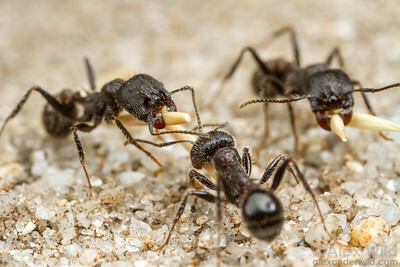 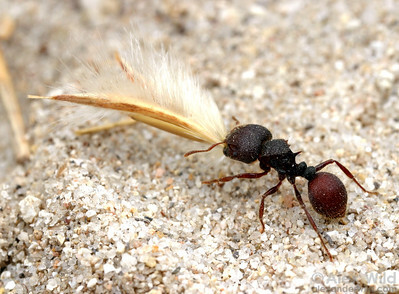 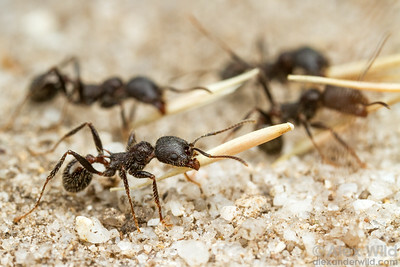 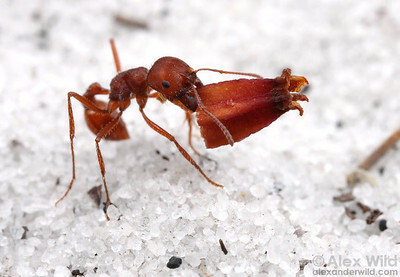 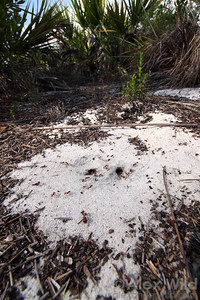 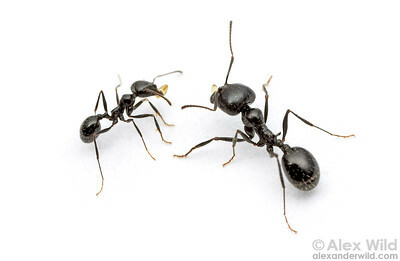 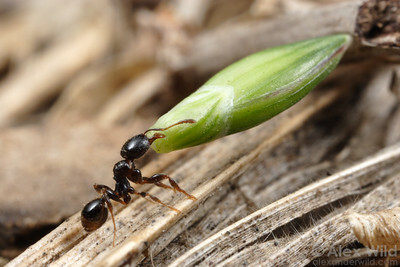 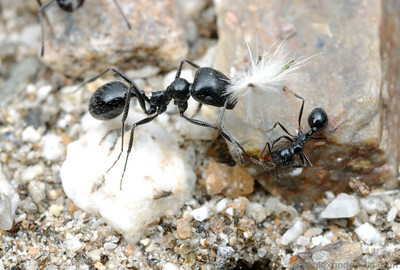 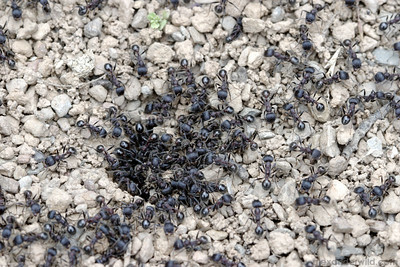 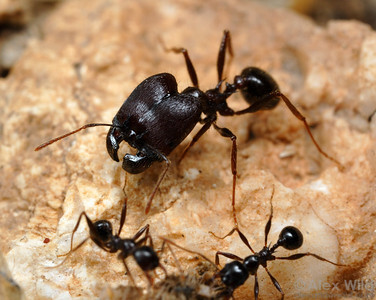 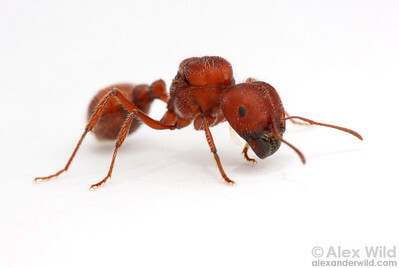 Harvester ant workers carry grass seeds back to their nest along a busy trail. 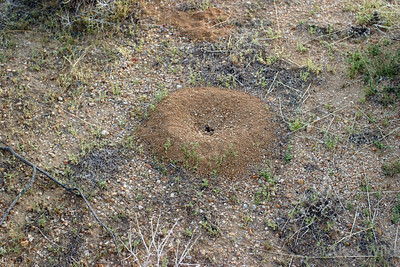 Hastings Reserve, Carmel Valley, California.